If you'd like to link to the VegasHauntedHouses.com website please consider using one of the banners below. The banners & code on this page are for linking from your website only. If you'd like to link to HAUNT SITE from your Facebook Page or other Social Media Pages, copy the URL from the top of your Browser, and paste it into the text field on Facebook, Twitter, etc. 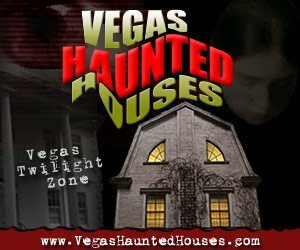 Founded in 2008, VegasHauntedHouses.com is a simple and unique online haunted event & attraction resource created to make it easy for locals to find Haunted House, Spook Walk, Corn Maze, and other Halloween Attractions in their local area.